Share your family’s treasured holiday recipes in this festive recipe box. 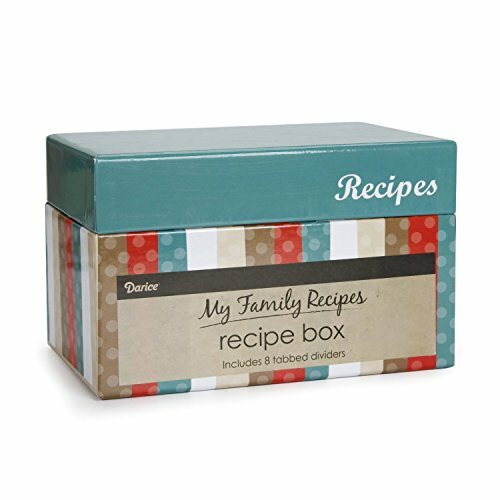 Each recipe card box includes 8 ready-to-decorate tabbed dividers for organizing your recipes. Perfect for holiday gifts, cookie exchanges, and more. Box measures 6.75 x 4.5 x 3.75 inches. 1 recipe card box per package.